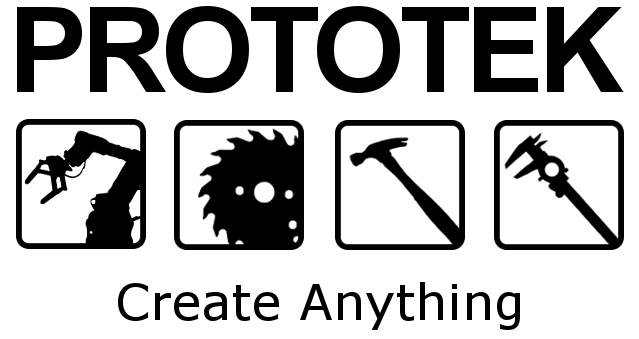 Prototek OKC is a much-needed source of creativity in a creative black hole, with spots of humanity struggling against the darkness. When the oil money dries up, the state will likely be abandoned unless Oklahoma produces enough innovators to keep the region habitable so establishments like Prototek are the only hope for the heartland of the planes. For $50 a month, anyone can join the local maker-space — located at 401 NW 10th St. in Oklahoma City — and have access to all the tools (robotic arms ranging from car sized to arm sized, CNC machines, laser cutter, woodworking tools, welding rig, presses, lathes, electronic workstation, 3d printers/screen printers, photo studio, RFID devices and server/networking practice hardware, lock picking tools) and classes for which they have the energy. It would take me years to learn how to use every gadget and device in their expansive workshop. Twenty-four hour access is nice. I enjoy going late at night, when it’s quiet and I can focus. People need a spot. For some it is an art studio or a music space, or a park where they do yoga. My Zen spot is at a big table with a bunch of junk and diagrams lying around. Prototek is one of the only places where my reflex to do homework or a project is stronger than my reflex to hop back on Reddit or Facebook. You can find out more at their website prototek.com, what you get for $50 a month is ridiculous.